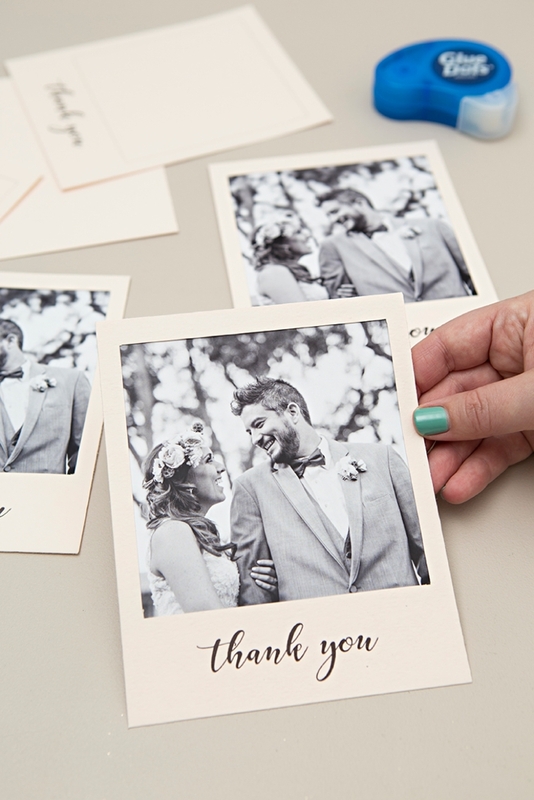 Check Out These Adorable DIY "Polaroid" Photo Thank You Cards! 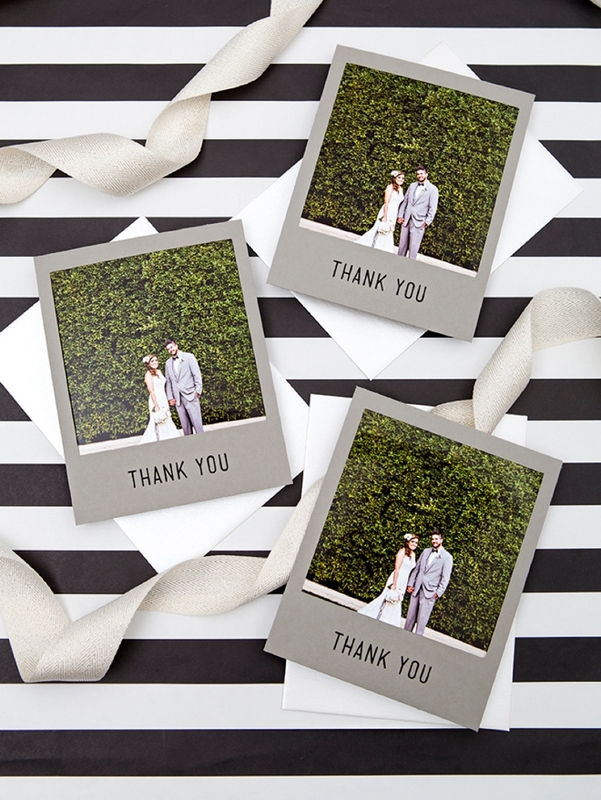 Aren’t photo thank you cards the best!?! I absolutely love them and end up keeping them forever because how can you throw away a photo of a friend!? You can’t! 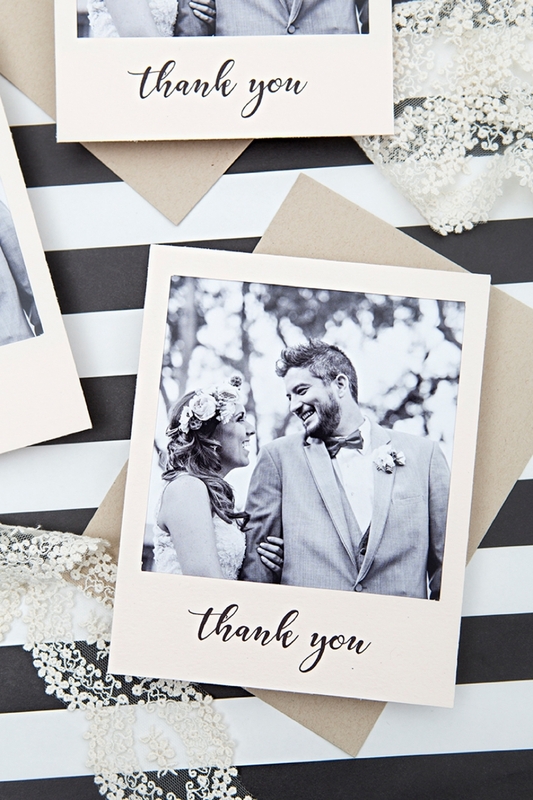 Today I’m sharing how to easily make the cutest “polaroid style” thank you cards using your home printer and a few simple supplies. 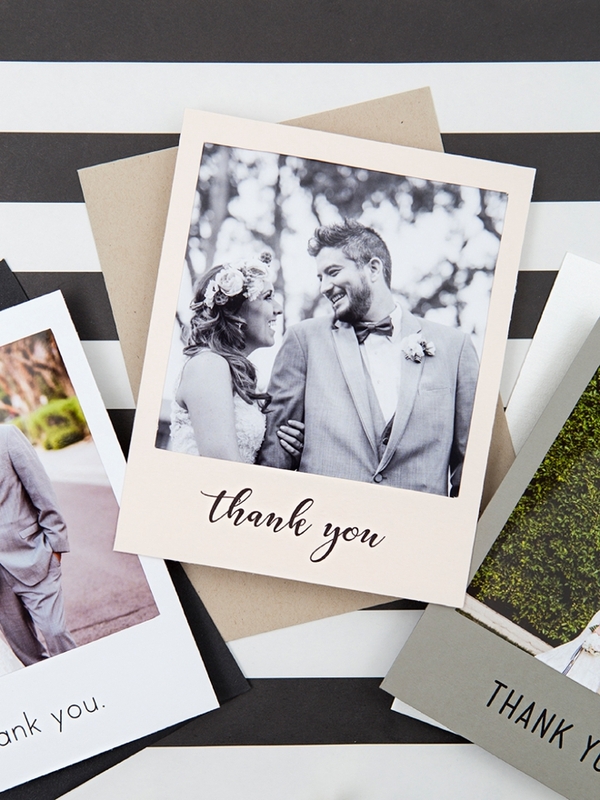 We have three different printable card styles to choose from, but the best part will be choosing what photos to use… remember you don’t have to pick just one! 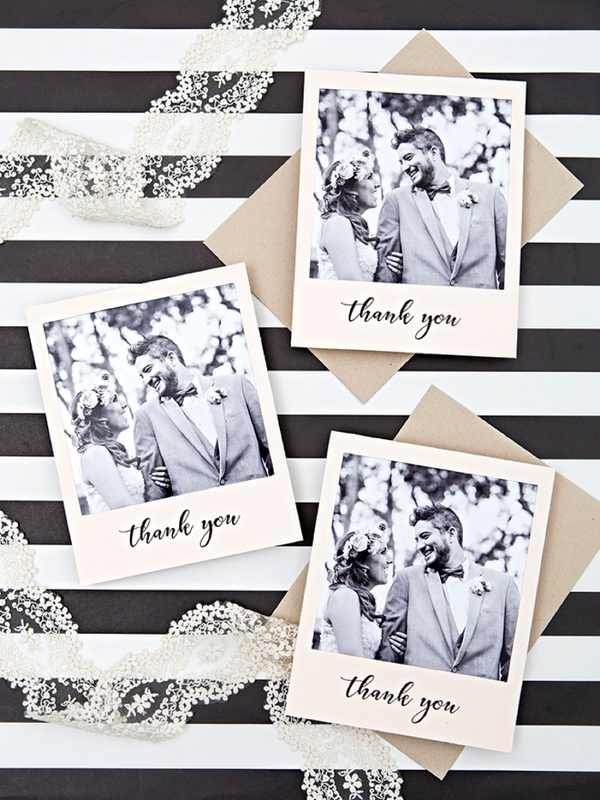 You can easily use different photos for these cards, maybe even of you and the person you’re sending it to. 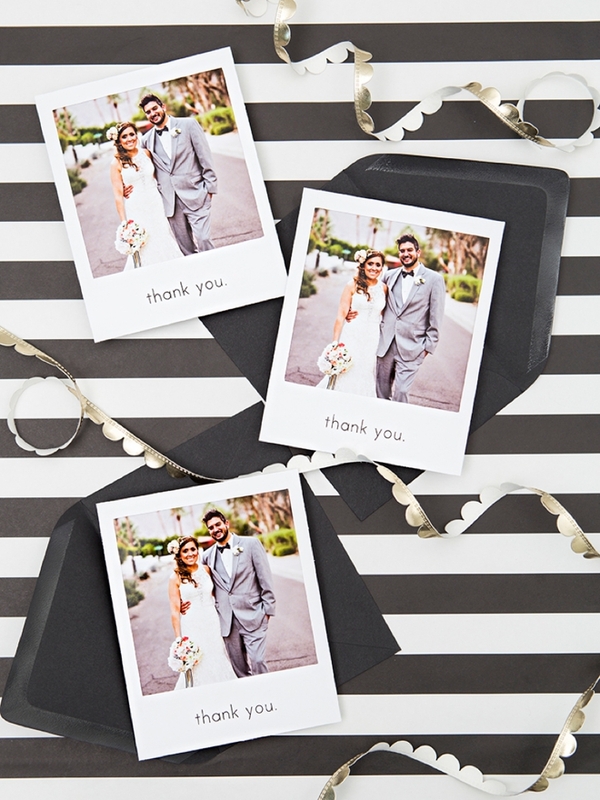 No matter if it’s your bridal shower, your wedding or maybe even a birthday party – these photo thank you cards will show your friends just how much you care! 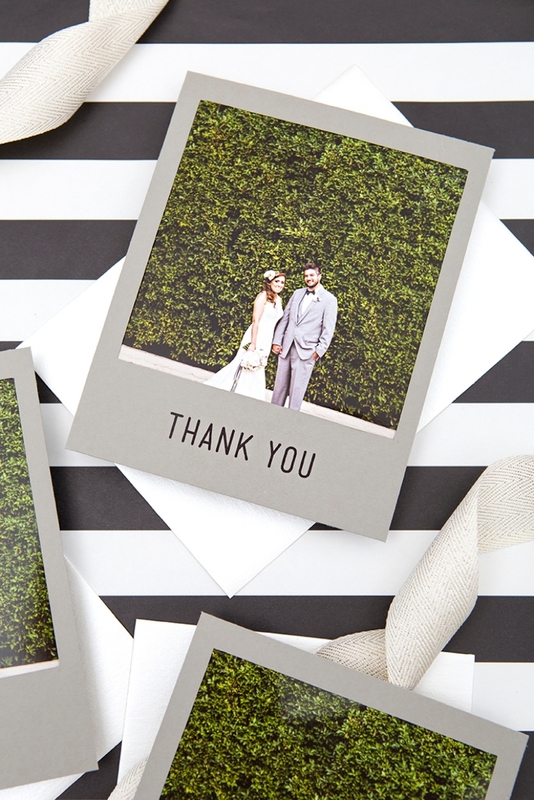 Our simple printable thank you designs will lend perfectly to any color palette! 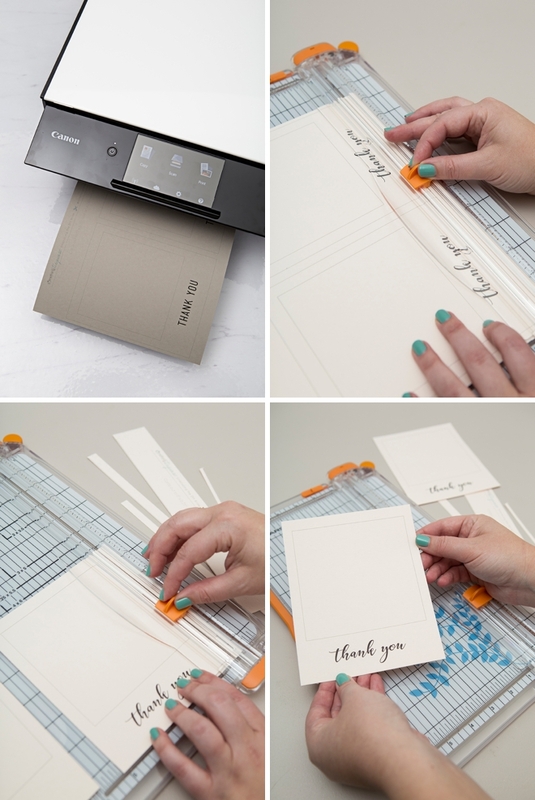 As you can see from the different versions I created, the colored paper you choose and the color of the image you use will make a high impact on the look of this project. The more and more I use my new TS9020, the more I fall in love. 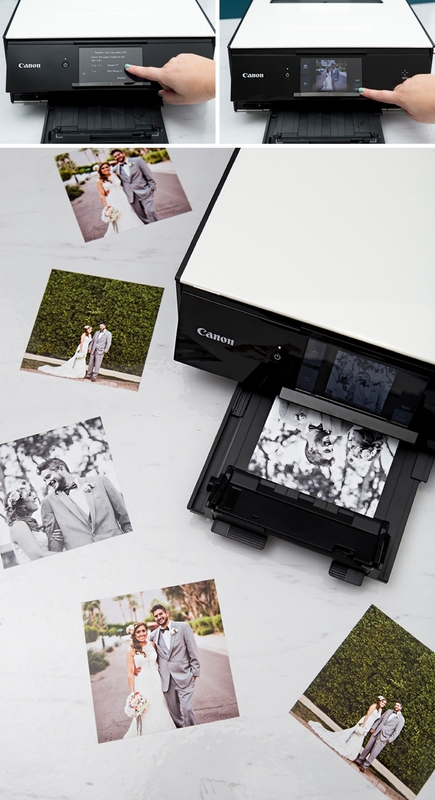 Favorite new feature: printing photos straight from an SD card! 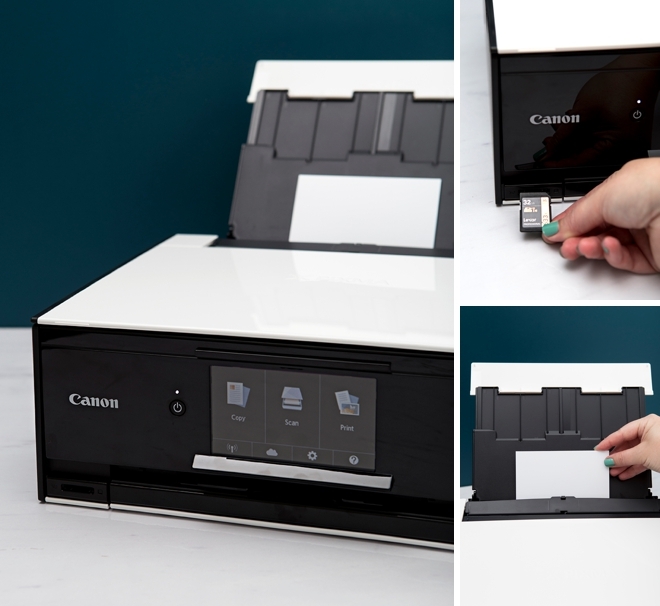 Simply insert the card and click to pull up each image to print, it really couldn’t be easier. I cropped my images to squares beforehand. 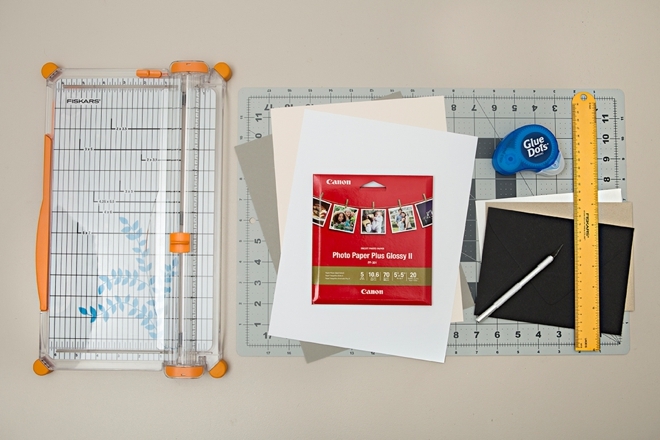 I’m using the new Canon 5″x5″ Photo Paper Plus Glossy II paper for this project which makes things super easy. The setting for this exact paper is already programed in the printer and once selected it ensures the absolute best quality print possible, including a perfectly borderless print. 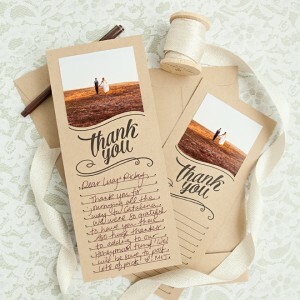 I showed these to Shea, the bride in the photo, and she couldn’t believe that the images weren’t professionally printed! 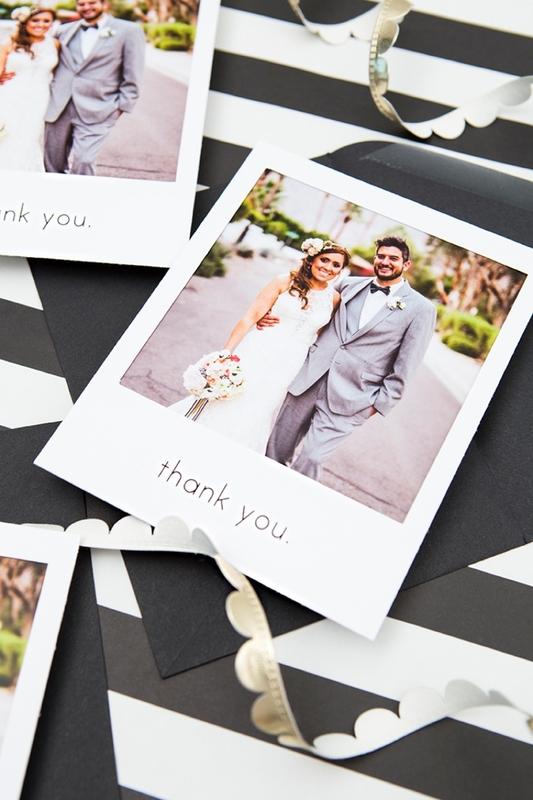 Download our “thank you” designs at the end of the post and print onto the 8.5″ x 11″ cardstock of your choice. Then cut out each card following the lines provided. 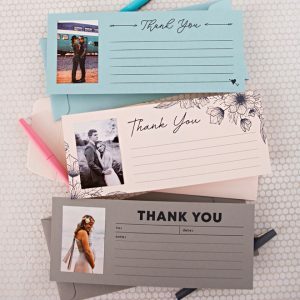 Cut a blank piece of cardstock that measures 5″ x 6.25″, to adhere to the back of the thank you card, to cover the backside of the photo and give you a place to add your thank you message. 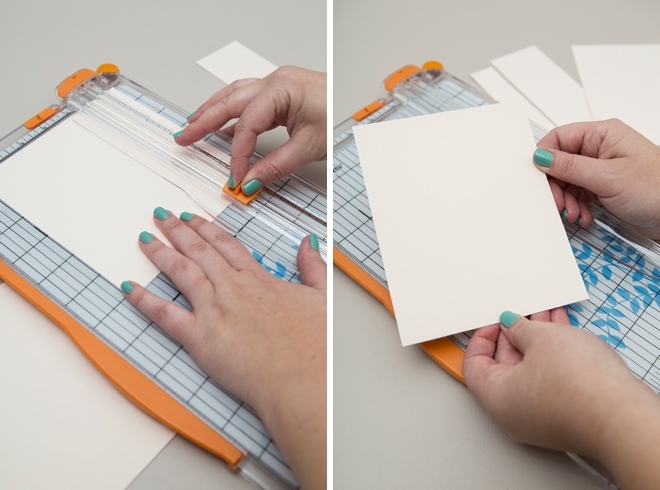 Using a cutting mat and xacto knife carefully trim out the inside square of the polaroid. 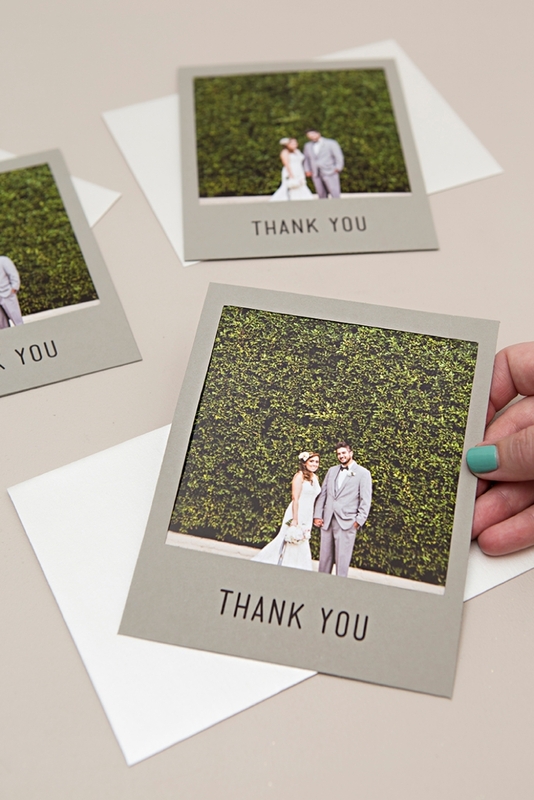 Add a few Glue Dots to the backside of the thank you card and adhere the photo to it. 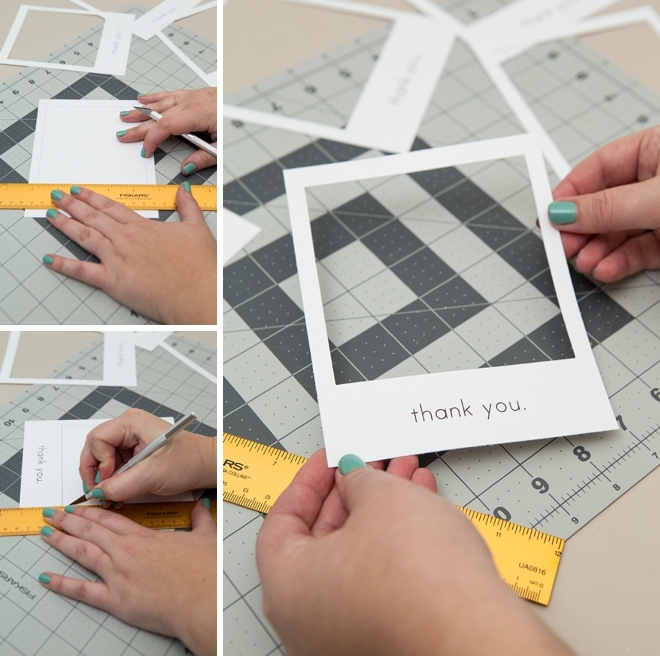 Then add a few more Glue Dots to sandwich the photo between the thank you card and the backing card you cut out. 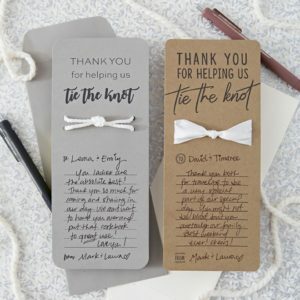 You don’t have to add the backing card, but it really finishes off the design and makes it look professional. 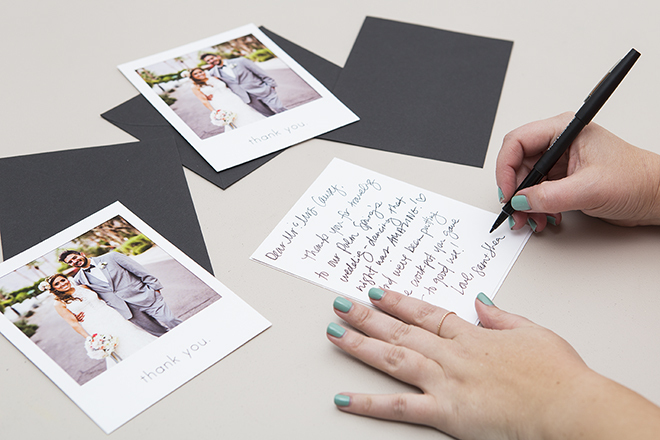 On the backside of the card, add a special hand-written note to the recipient… to let them know what you’re thankful for! 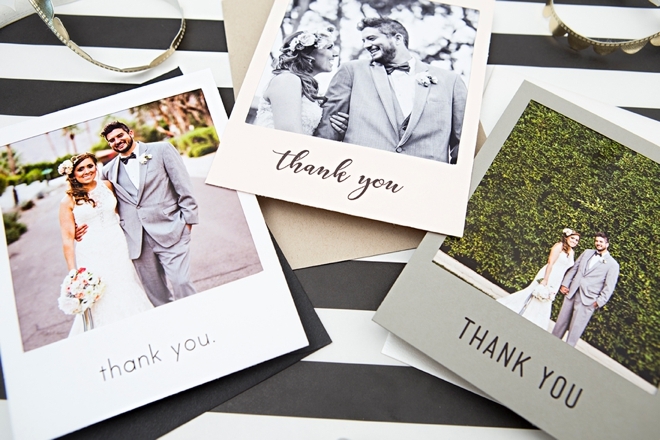 While these little cards are the perfect way to say thanks… we also need to give some love to Roger Ellsworth of EPlove for letting us use these gorgeous images of Shea + Sam’s wedding. To see the rest of their amazingly creative day, visit this blog post!